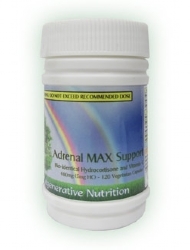 The natural remedies suggested are nutritionally balanced solutions that tend to raise overall health. 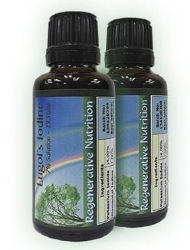 They contain enzymes and many other naturally occurring phyto-nutrients shown to help reverse and prevent disease generally by optimizing the immune and hormonal systems, we particularly recommend the addition of Plant Sterols and Sterolins to the diet. With the ‘normal’ or classic M.E. situation we have a disorder that is generally considered difficult to treat. In fact it is the sorry experience of M.E. sufferers that they struggle from one remedy to the next or one treatment modality to the next, usually only feeling worse, or at best no better. These patients understandably reach a point that they become closed minded to any further remedies that may help them to get better. From my experience with M.E patients I believe that the following suggestions will help most of them, some to full recovery, but unfortunately there is no way around the experimental approach, to try and see what suits best. The first remedy worthy of note is Salt, or to be more precise full spectrum sea salts. 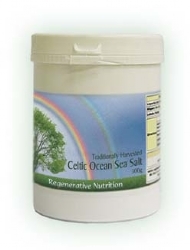 This comes either as Celtic Sea Salt with food and or preferably Ionic Minerals - an inland sea water concentrate that can be mixed with water to yield a dilute sea water. Please click the links and read the full articles on these two remedies. Animals and man require wholesome non-refined salt to maintain health. We evolved from the sea, and carry about 22 pints of extra-cellular fluid around with us as a form of ‘internal sea’ with a mineral concentration similar to that of the sea water our cells ancestors lived in; it is therefore the most natural thing in the world to consume. Studies on several hundred M.E. sufferers found that the majority of them suffered from marginal low blood pressure (postural hypotension) and this was primarily due to a weakness in the hypo-thalamus-adrenal axis resulting in excess loss of sodium from the system via the urine. Supplementing the diet with more salt (plus a drug) helped the blood pressure to normalize, and about half of the M.E. sufferers showed a marked improvement in their condition. Huge numbers of our customers have found that the daily consumption of sea water (one dessertspoon in a pint of water daily to provide 3 grams of sodium chloride daily plus all the other required synergistic elements, especially magnesium) tends to normalize energy. In other words if one is too ‘hyper’ and not grounded enough (this is a common cause of low energy) the sea water calms the system and therefore one has more sustainable energy. Conversely if one is too drained the salts provide the electrochemical help our cells need to provide more energy. The complimentary opposite minerals most M.E. sufferers need is Blackmores PPMP this is short for potassium and magnesium phosphate. These are the primary required ‘tissue salts’ for the nervous system. A few years ago, before M.E. 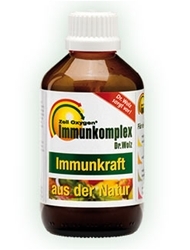 was diagnosed, persons suffering from a similar condition of chronic fatigue we labeled neurasthenics, a condition of nervous enervation, they too would benefit from the potassium and magnesium Phosphate. Please enquire if you are interested in Blackmores PPMP. The minerals are the ‘ground rock’ of our metabolism, so should, wherever possible be combined with other food state remedies to provide a complete solution for the M.E. sufferer. However it is expedient to introduce one remedy at a time to check for suitability and reactions then as soon as possible, move on by adding in the next remedy for evaluation. Self-evaluation is not always appropriate, especially as M.E affects the brain and paranoia and a fearful attitude can take hold, so a therapist or adviser who is experienced in understanding reactions may need to be consulted. Possibly the single most important remedy for M.E./chronic fatigue syndrome is Zell-Oxygen This is a ‘baby’ live cell nutritional yeast that is exceptionally easy to absorb, and is well tolerated by those who are intolerant to other forms of yeast. 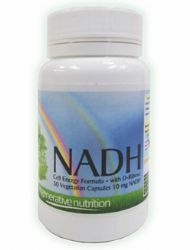 The special live yeast cells are raised in a high oxygen environment, they contain special respiratory enzymes that enable the mitochondria of every cell to work properly. 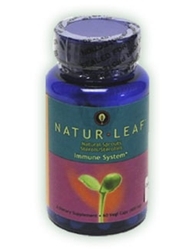 This rapidly results in an improvement in cellular respiration and general energy production of all the cells. Dr Robert A Buist, in his book oxygen starvation syndromes, a role for Zell-Oxygen (available free on request) describes the nature for M.E. in relation to failed cellular respiration and subsequent production of excess lactic acid. Another factor involved in M.E. and also Fibromyalgia is the fact that the red blood cells are misshaped and have trouble passing down the narrower blood vessels, resulting in poor tissue nutrient and oxygen levels. This is also corrected with the wide spectrum of nutrients from the living baby yeast cells. We see a high proportion of success stories with Zell-Oxygen please click the link for more information. M.E. (chronic fatigue syndrome) is a difficult condition to resolve and seems to display a disordered immune system, one half being underactive and the other half being overactive. Propolis does not seem to respect this difficulty! A trial was conducted (by a Dr. Grange) on 27 patients who were chronically ill. After four months 24 had obtained major benefit. Some had responded dramatically within one week others more slowly. Studies have shown linseed oil and evening primrose oil would be a complementary remedy for M.E. 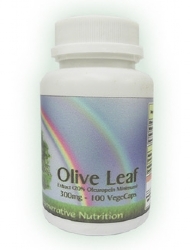 sufferers, also Hemp Oil is well indicated as the most balanced of the therapeutic raw oils. M.E. 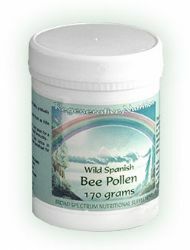 sufferers often have complications such as Candida Albicans infection and leaky gut syndrome. 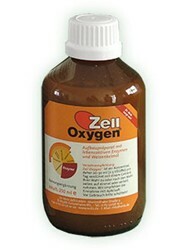 Zell-Oxygen strengthens the immune system which is often the underlying cause of a Candida infection, this may, but not always, be accompanied by anti-biotic use, the fibres of the fungus penetrate the bowel wall leading to systemic fungal infection in the blood and tissues. We tend to recommend Collodial Silver along side Zell to eliminate the candida. 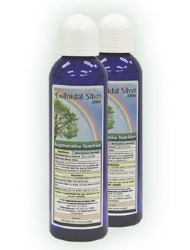 Collodial Silver is a gentle remedy in the sense that it will not over stimulate the immune system. It is advisable for chronic M.E. 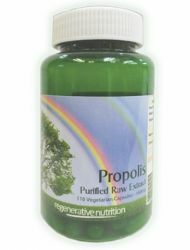 sufferers to get used to Ionic minerals and Zell before attempting to kill candida directly with wormwood or colloidal silver. There is also the possibility that your M.E. is largely due to an unknown infective agent such as Mycoplasma. In this situation the measures we have proposed will still help, such as Zell-oxygen to improve the immune system etc., but faster and more thorough healing can proceed with the regular use of good quantities of colloidal silver. Some persons do get quite a strong reaction to the fist few doses of colloidal silver, but this is not because colloidal silver is aggressive, it is the initial healing ‘shift’, once this has passed it is a gentle remedy. Please see the article on Mycoplasma. Once you have begun to improve other remedies can be introduced to continue the healing process and to help to heal the leaky gut syndrome. Prime Directive is a remedy we recommend as it has very little stimulating effect on the immune system, but strengthens the whole system via its multi-bacteria, and it’s pre-digested nutritional content. Barley Grass Juice Powder provides a food state, broad nutrition and will help to regenerate the system. Again we suggest this product to you because it is not stimulating. If your vitality is still low at this stage, even after regular Zell consumption, (it is difficult to tell sometimes if the vitality is low, since vitality in this sense refers to the level of energy that the system is generally working at, an over-energised state leads to a tired weary state, since recovery through sleep is not adequate), then Barley Grass (except at small doses) may leave one feeling drained. Your energy can be low due to Geopathic and or electromagnetic stress. In this situation you are recommended to try an energy cone in the house called a Life Force Generator, please see the article. The only way to find out if this is suitable for you is to try it. We offer a full money back refund on its return. One of these fantastic devices will raise the energy of the entire building and is extremely cost effective compared with other Geopathic stress neutralisers, in our opinion it gives a better result, in terms of a harmonious, healing energy field. There may be some situations where there is excess energy in the house; this is rare compared to Geopathic stress and in this situation a life force generator will not help. The supplements recommended for the treatment of Post Viral Syndrome are listed below. Not all will necessarily be discussed in the article, as some may have been added after the article was posted. If a listed supplement is not mentioned within the article, or you wish to know more about any of the listed supplements, you can find out more information by clicking on that supplement below. You can also now add to your basket directly from this page.